This sifu (let’s call him the Bidor’s dollmaster, for the sake of it!) seemed to be deep in thoughts, never skipping a beat albeit within firing range of my camera. Look at the laborious process of manually-shaped moon biscuits before they went into the oven. 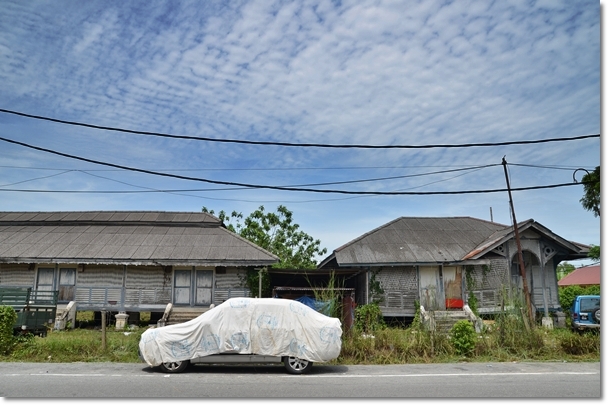 While we used the Kuala Selangor way to travel from PJ to Teluk Intan, the shorter (in terms of time, not distance) route has still got to be the Bidor way. Hence, we picked the obvious choice when departing home on the second day. 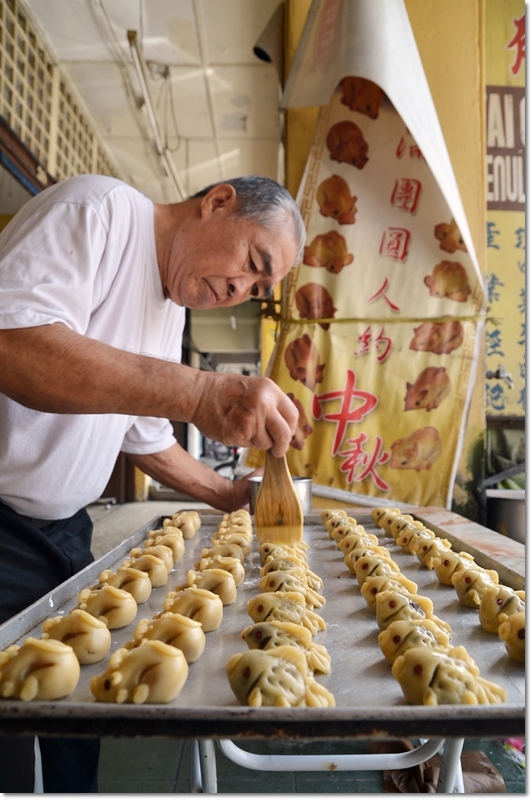 Bidor is a relatively small town in Perak; south of Ipoh (about 60km away) yet distinctively popular for two things – The fresh fruits stalls and of course, the legendary Pun Chun herbal duck thigh noodles. 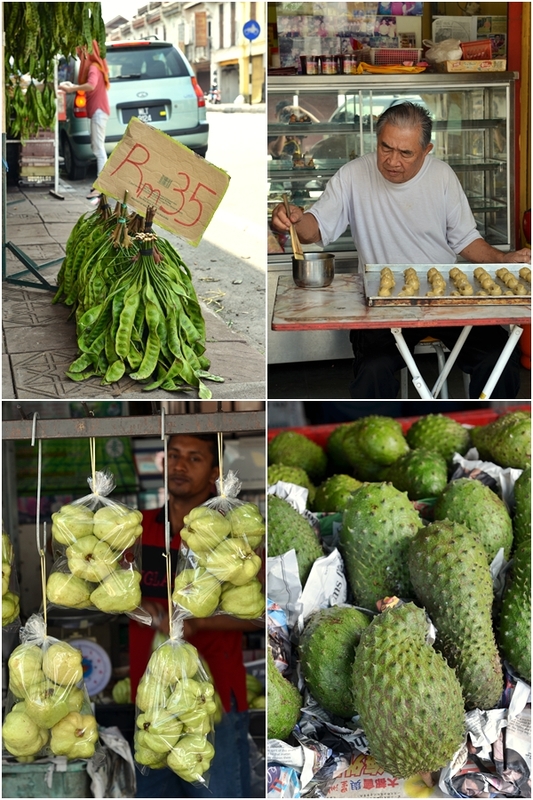 Seedless guavas, soursops, durians, ‘jambu air’ (rose apple) and oh yeah … “PETAI” (bitter beans/stink beans) are but some of the famous must-buys in Bidor. But we did not enter Pun Chun this time. Instead we chose to have our lunch at Sungkai. Let’s cap this fantastic series off, shall we? 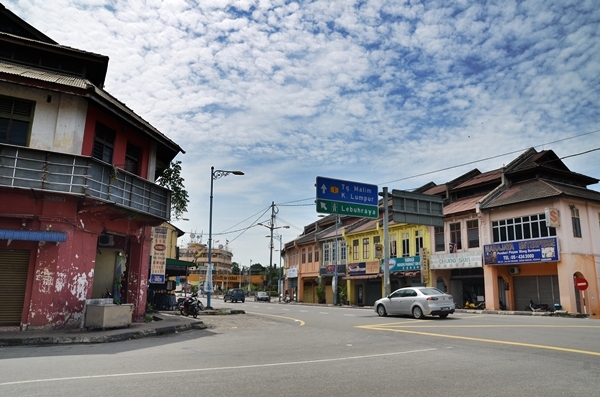 Bidor is a town that runs on a few streets, and residential neighbourhood beyond the range of these charming little shophouses. Ta Chong Biscuits on the main road of Bidor (a few shops away from Pun Chun) has been featured on 8tv’s Ho Chak program before. Their specialty? 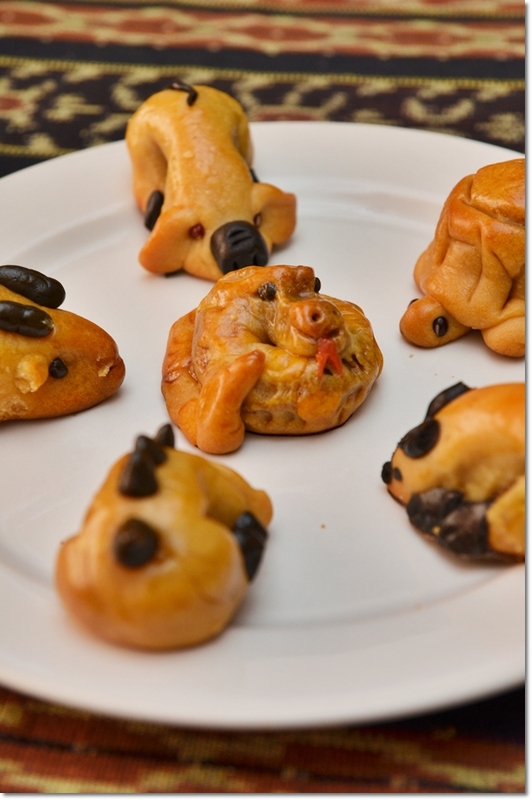 The detailed, wacky moon biscuits (also called doll biscuits) in bite-sized forms, resembling zodiac characters and some modern ones like Angry Birds and Hello Kitty! Aesthetically pleasant, the lotus paste filled biscuits make good souvenirs especially for the children in the family. Tastewise? Forgettable. The pastry and fillings had this very peculiar taste, akin to cheaper mooncakes sold in the markets. Not cheap too, at RM2 per piece, this would be a novelty more than anything else. We initially was tempted to walk into Kedai Kopi Yik Chan (Yuk Sung) this coffee shop located opposite of Bidor bus station. They are seemingly famous for their steamed freshwater fishes, stuffed fish paste (yong tau foo) and a few other Chinese dishes. 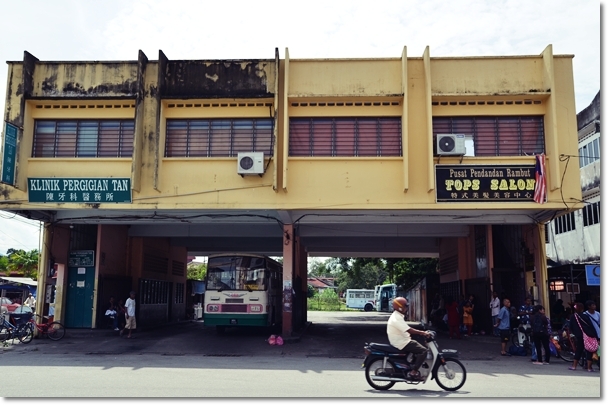 Bidor bus station – A throwback to the pre-war times. Venturing off to Sungkai; using the old trunk road (towards Kuala Lumpur’s direction) for lunch instead. I was informed by a friend that the corner coffee shop at the same row as Pun Chun serves a much better duck thigh noodles. We passed by the shop (just after passing by the post office on your left, if you’re coming from Tapah’s direction) but the lack of customers (none at all!) got us thinking twice. And yeah, Pun Chun was in their elements, as usual on a Sunday morning. Packed to the brim, we had no intention of jostling with the crowd. 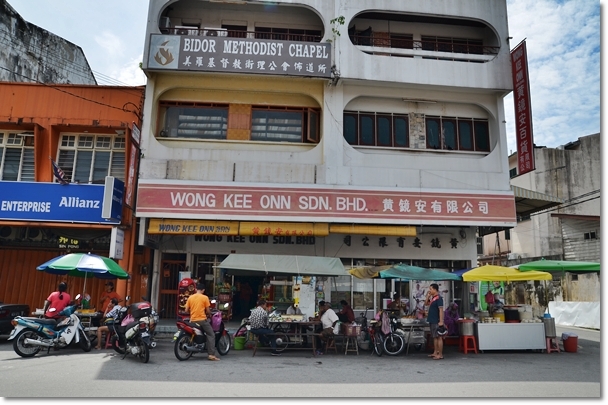 The famous ‘nasi kandar’ restaurant; Bidor Curry House was closed (or not opened yet) that morning. And there was this roast duck stall that was highly patronized too, a turn to the left after the petrol station and just before reaching Pun Chun. But Ta Chong Biscuits‘s impressive-looking moon biscuits (doll biscuits or whatever you want to call them) fared much worse; the other end of the spectrum compared to its stylish looks. Disappointed as I expected at least for them to taste like the mini mooncakes one can buy off night market stalls. *A few doors away from Pun Chun Restaurant on the main road of Bidor. 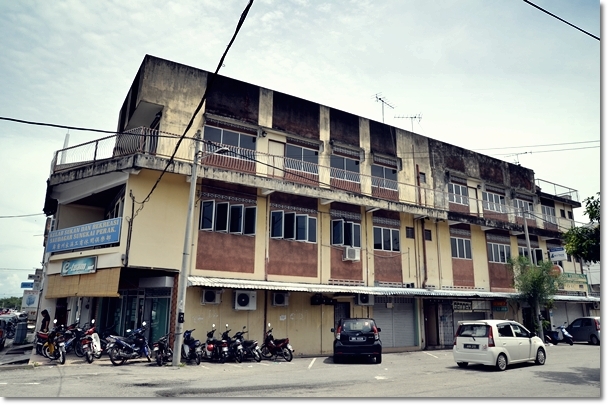 Guess the significance of this three storey building in Sungkai? So we have reached a sub-plot within the main plot. Or an epilogue that follows the meatier chunk of the story. Let this be part of the “Beginnings” series. 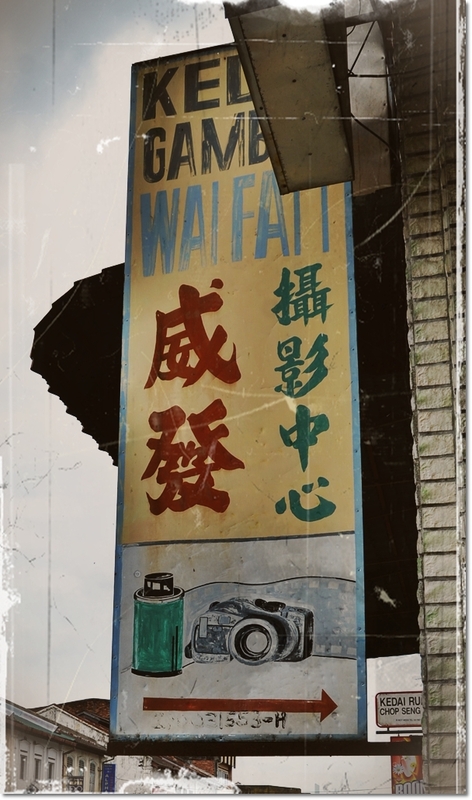 Not much have been said about Sungkai on this blog, aside from the FELDA Residence – Sungai Klah Hot Springs chapters and Choy Kee’s famous braised pork knuckle review. 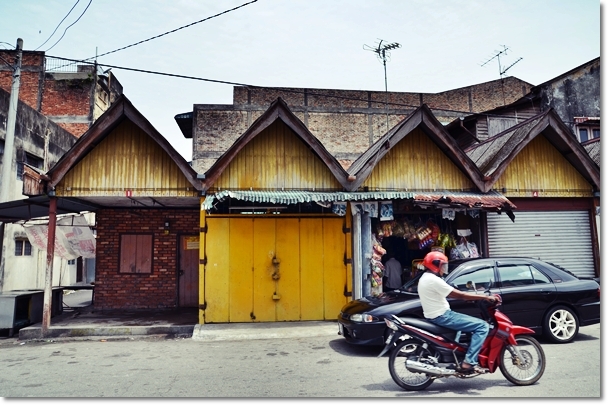 Motormouth literally grew up feeding off the small town charm of Sungkai. Okay, so I was born and raised in Ipoh (Pasir Puteh, remember?). But half of my grandparents hailed from Sungkai; an even smaller town than Bidor; between Bidor and Slim River if you are using the trunk road to travel from Ipoh to KL. Every year without fail, we would be celebrating the most important day of all; the 9th day of the Chinese New Year where we call this celebration – “Bai Tin Gong” or praying to the Jade Emperor of Heaven. The preparation starts on the evening of the 8th day, usually including an entire roasted pig, sweet glutinous rice steamed with red dates, fruits etc. It was also this time of the year when the entire battalion of the family gathered and this was an even bigger celebration than the 1st day of Chinese New Year itself! We always looked forward to tasting grandma’s amazing Acar; a Nyonya salad of spicy, pickled vegetables tossed in a nutty sauce. And the incredible Sambal Petai with Prawns. At times, when the cravings marched into overdrive (burly uncles come into mind), we had to order take-away from Choy Kee, which has always been just across the road. Still the same as before. Cramped, small yet idyllic shops barely able to squeeze more than 4 pax inside! But as kids, we never gave this much thought anyway! An incredible feast usually preempted the celebration. The freshest vegetables from the market (the vendor happened to be our relative as well!) and fresh seafood sometimes brought over by my uncle. There was this year when we had grouper, seven star grouper, tiger grouper and even cod fish within the same meal! Needless to say, the noisy camaraderie of the younglings was no match for the sound of shuffling tiles at the Mahjong table. Or tables. In the era without Astro or even internet connection, we had to resort to simpler games that bind the family ties together. Late night games that stretched until 3-4am were the norms, while sleeping in until noon was never frowned upon. 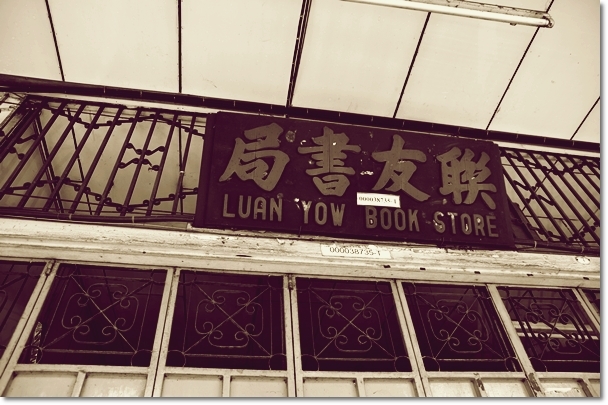 Kedai Makanan Choi Yuen – Leaving no stones unturned, I pushed my luck and tried to find the ‘char siew pau’ specialist in Sungkai. And they were closed. Maybe too early? In the mornings, the adults would gather an army of children and we would walked towards the market. 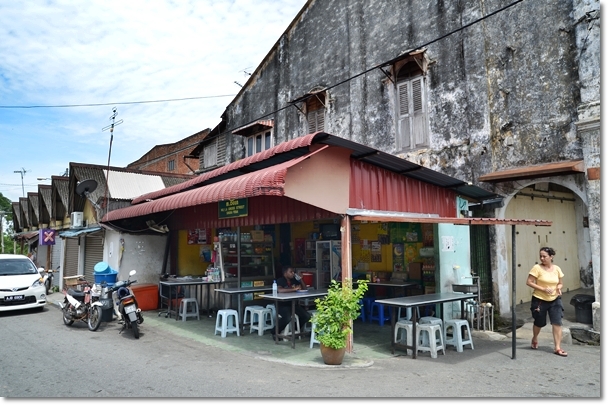 Sometimes we would be contented with the nasi lemak bungkus from one of the hole-in-the-wall eateries behind our home. At other times, roti canai and teh tarik would do the trick. In the late afternoons, the older cousins (almost a dozen of us, actually) would walk hand-in-hand with the younger ones to the Indian uncle’s grocery shop. Objective? To buy ice-cream of course! Not the fancy Magnum or even Cornetto (though the latter was one of the more preferred/premium choices during the later years! ), but the colourful popsicles that got our hearts all a-flutter! Grandpa passed away in 1993. Leaving grandma alone with my uncle and aunt; occupying what-seemed-to-be a gigantic three-storey corner house. Three living rooms with ample bedroom-space for close to 30 pax … I’ll say this is pretty mesmerizing on paper. 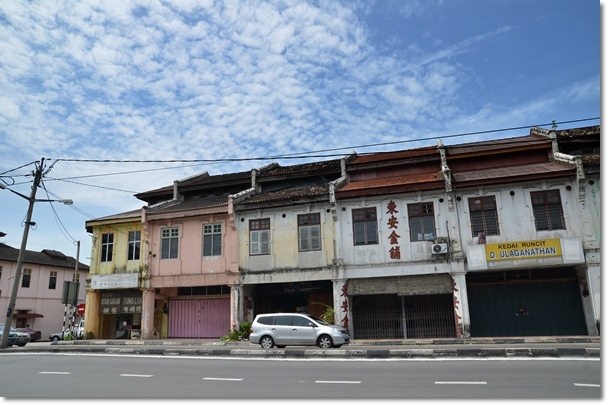 The visits to Sungkai gradually reduced as time went by; especially when the trunk road has been replaced by the highly-accessible PLUS expressway. There were a few years when I could not even go back during Chinese New Year; due to my studies. The longing was strong, yet it was purely a situational constraint. 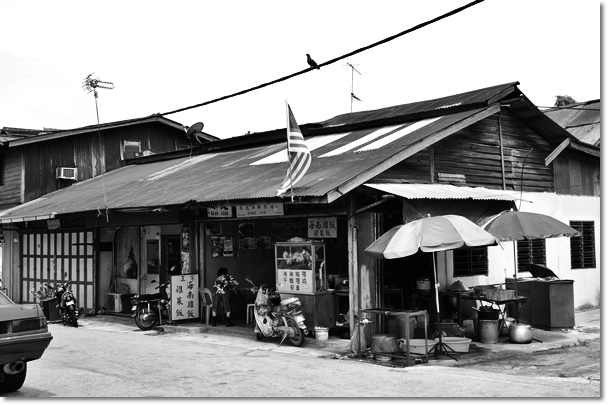 Soon, grandma left for Ipoh with my uncle and aunt, effectively sealing the Sungkai chapter with the sale of the house. It was done in a most heavy-hearted manner. Yet, with most of the members of the family in Ipoh and Kuala Lumpur, it did make sense for my grandma to move on to the next phase in life. Choy Kee still stands strong amidst smooth and turbulent times. A definite must-try even if you are not fond of fatty pork knuckles. 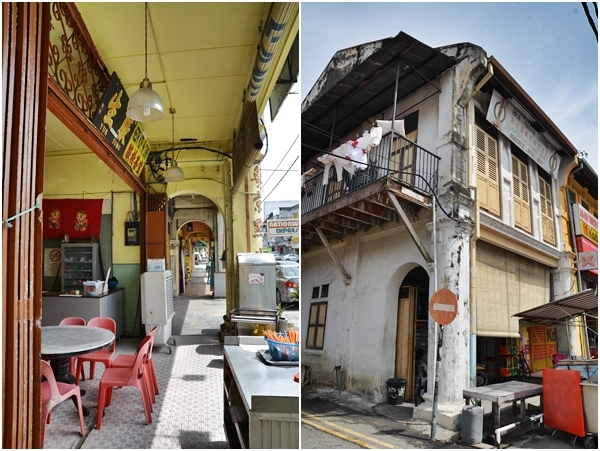 Time has stood still, and weathered as the buildings may be, Sungkai still manages to retain its alluring old-school charm of a small town (almost) independent of political turmoils and the nasty wrath of a modern society. Traveling from Bidor to Sungkai merely took us 15-20 minutes. Most travelers will not hesitate to exit the expressway in Bidor almost immediately after downing a bowl of duck noodles and hoarded mass amount of ‘shat keh mah‘ back home. But, if you have the time to spare, why don’t you consider winding down the windows and soak in the rays and breeze while cruising along the old route? 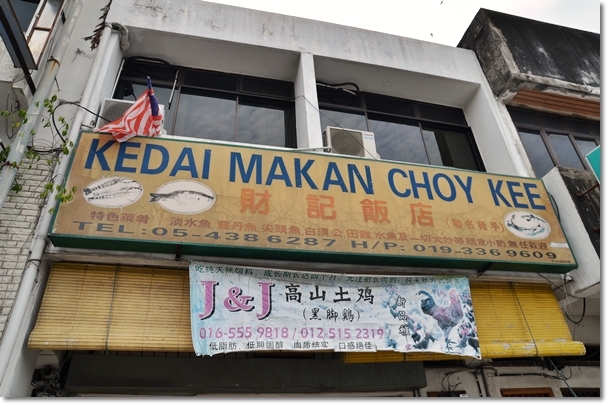 Or if you are indeed contemplating on lunch before reaching Sungai Klah Hot Springs, why not a short detour to Sungkai town for a meal at Choy Kee? 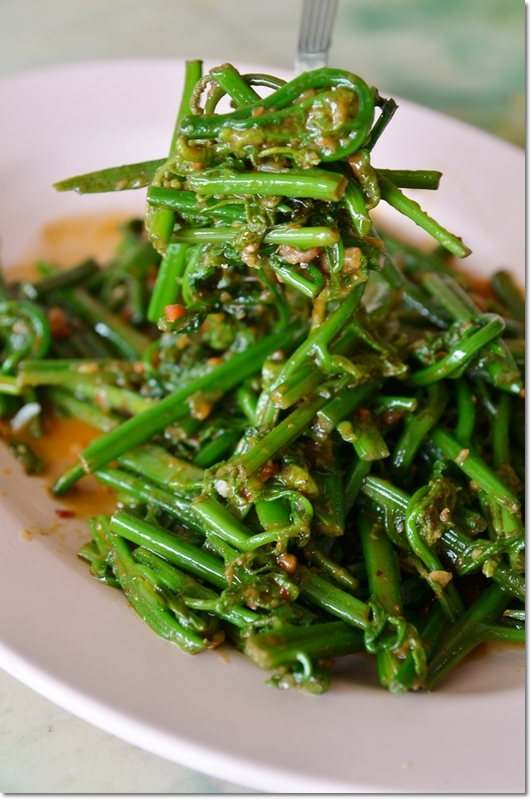 Sambal Belacan Wild Ferns (Paku Pakis) was a fabulous choice; the ferns maintaining the crunch and freshness without the metallic aftertaste, and the abundance of dried shrimps and spicy sambal belacan infused the greens with such a robust flavour. Asam Ikan Terubuk (RM18/USD6) was recommended by the staff when we hoped for something other than the braised pork knuckle. And this was beautifully done; the flaky and tender flesh resembling sardine’s, the soft edible bones and the tangy broth infused with tamarind juice (plus a squeeze of lime) and dried chillies came together flawlessly. Some had protested before. That the Braised Pork knuckle with Chinese mustard greens (sawi) was nowhere as good as the ones they have had elsewhere. So fine. 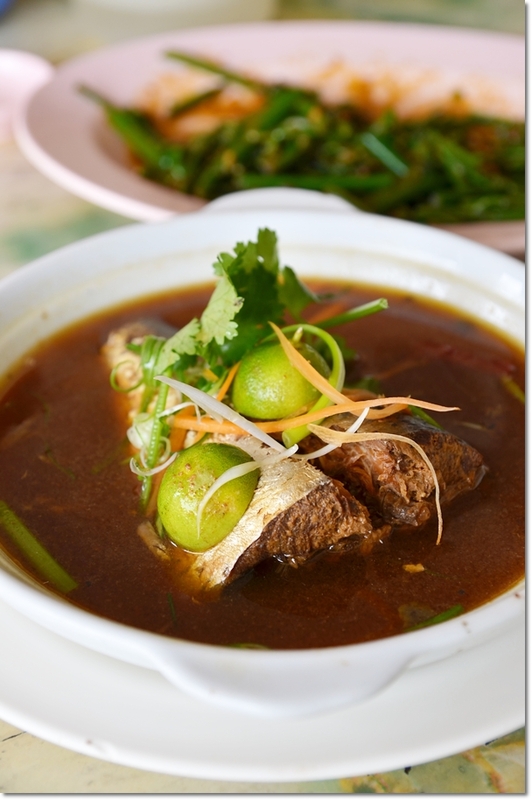 But Choy Kee does whip up more than a few generic dishes that you have grown familiar with. The Asam Ikan Terubuk, Freshwater Prawns (Sang Har) Noodles and Sambal Paku Pakis are good examples. If you are not sure, go for a serving of Sambal Petai too! Fresh from the wild to your plates. Opens from 10.30am – 8.00pm. *You can also exit Sungkai exit from PLUS Expressway and make your way towards town. Choy Kee is on the main road, to your RIGHT. You must have noticed that this finale in the series was more than just a food and travel piece. I have always been contemplating to return to Sungkai and stay a night; granting this beautiful town more spotlight and attention it deserves. Yet, duty called and life commitments overruled my desires. I hope that the memories will be immortalized this way. As we move along with the currents of change and development, sometimes it’s rewarding to stop and look back. Never forget your roots. I wish every reader Happy Holidays, and to those celebrating the season; Happy Deepavali to you and your family. 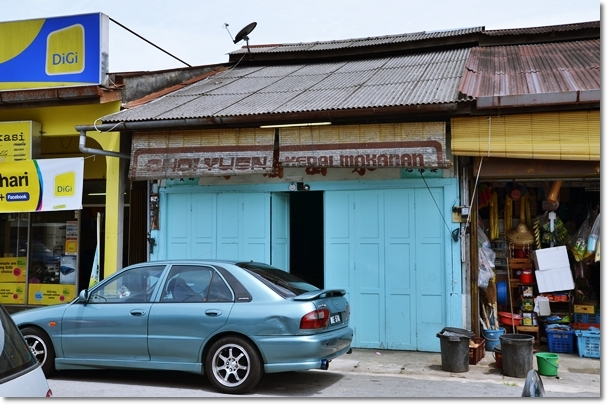 *For more on food stories from the smaller towns in Perak, try Motormouth’s Perak Food List. Choy Kee’s braised pork knuckle/leg is really nothing to shout about. Hmmm….they didn’t recommend to us the asam terubuk. Sold us some pricey freshwater fish supposedly white sultan fish/jelawat (“pak sultan yue”). Had no idea what the heck it was but it came steamed with scales intact. My only recollection of freshwater fish which is steamed with scales intact was ikan tenggalan. Must have been it. Bony fish with lots of sharp tiny bones. Not a great meal nor cheap there. Had better freshwater fish (ikan tapah) meals in Slim River. rm2co – I have to concur. But back then when we went back to Sungkai quite often, to have the braised pork knuckle was something worth looking forward though. I have tried sultan fish steamed with scales intact elsewhere … maybe it was Sauk near KK. That’s a method to preserve the integrity/moisture of the flesh perhaps. Yeah! vee, I guess you can relate most to what I wanted to tell in this story above.